Best Bug / Tar Remover 5 Long time user of this, I now buy in bulk. I add it to my wash bucket and use as standalone. 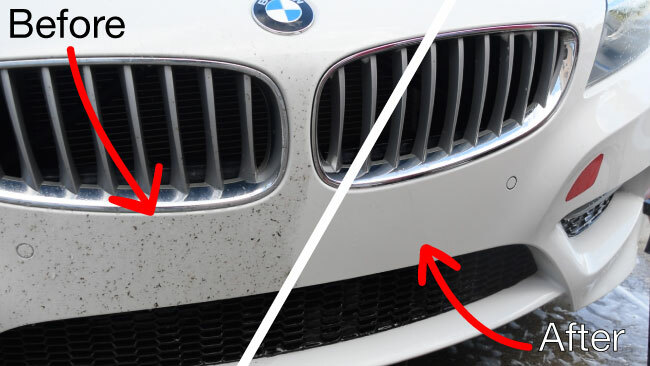 Dissolve bird droppings, tar, road grime, bug guts. Great for when you can't scrub the surface hard, like on a headlamp, clear bra, etc. Pair this with the bug scrubber brush. Road Kill Bug Remover 5 Great product that really works. Pros:Fast, effective and easy to use. Great Product 5 This product is awesome. I transport vehicles for a living and like to keep my truck spotless. This product works great in regards to washing off the bugs from the front of my truck.